The red bag contains all important information about them, such as their health, their likes/dislikes, medication, personal belongings and clothing. If the resident needs to go into hospital for an emergency, the information within the red bag helps professionals to easily access key information and quickly provide the right care. The project was rolled out over the summer in Coventry following the success of similar schemes in other local authorities, where it has improved people’s experience of their hospital stay, efficiency in the admission and discharge process and in some cases a reduction in their length of stay in hospital. 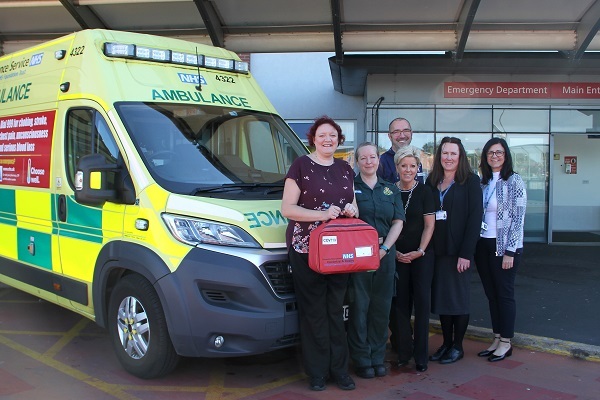 The project is being delivered with partnership with organisations across the city, such as Coventry and Rugby Clinical Commissioning Group, West Midlands Ambulance Service, University Hospital Coventry and Warwickshire and care homes. Find out more about the Red Bag Project.